Provided by the Alamance County Area Chamber of Commerce, the Newcomer’s Guide booklet is designed to help you transition to the area as quickly and easily as possible. 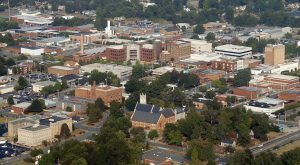 In it you will find key information about the local area, including information about the services and government bodies of Alamance County and other useful information (daycares, schools, utility information, etc.). You can also visit alamancechamber.com for more information. Connecting homeowners and buyers with real estate professionals, Home Gain is a free service that features North Carolina homes for sale, real estate listings and more. North Carolina Web of Homes is a directory of homes in North Carolina. Apart from the listings available, the site also features a relocation guide (including maps, information about resources, etc) and a real estate blog. Offering information about houses and apartments for rent in cities across North Carolina, Rentals.com allows individuals to search for homes in specific types of communities and with distinct property features. If looking for reliable child care in the area, the Alamance Partnership for Children is a great place to start. From after-school and nanny care to summer camps and pre-K programs, the partnership provides resources and referrals to parents in need of information about quality child care in the Alamance county area. The North Carolina Division of Child Development’s website is another available resource. It has applied a rating system to child care facilities statewide, and the site allows parents to search potential facilities by town and set up site visits to specific locations. The Alamance-Burlington school system has several schools located throughout the county, providing parents with several convenient options, including Elon Elementary School, Highland Elementary School, Smith Elementary School and Western Alamance Middle and High Schools, and Williams High School, just a few minutes’ drive from the university. Slightly more distant but still convenient to Elon are schools in the town of Mebane, including Eastern Alamance High School. Students in several elementary schools within the district have the opportunity to participate in classes that are taught in Spanish through a Spanish immersion program. 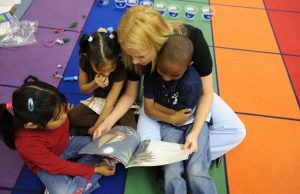 For students with disabilities, many Alamance-Burlington schools are staffed by highly competent special education teachers (including North Carolina’s Teacher of the Year) and offer excellent programs that employ the latest methods for identifying and serving students in regular classrooms to the maximum extent possible. Guilford County school district is one of the largest in the state of North Carolina and includes several Montessori and special education schools, as well as a number of magnet programs. Home to a year-round school, an alternative school and several language immersion programs, the Orange County school district serves the Hillsborough area, 25 miles from campus. Private School Review is a directory designed to give families a snapshot of private schools and their surrounding communities. The site compares schools within a specific location to other schools statewide, providing profiles for each school that include videos, news articles and statistical information. It is a great place to begin looking for private schools near Elon’s campus. The North Carolina Department of Administration’s Division of Non-public Schools monitors the quality of education provided at non-public schools, provides guidelines and suggestions for families wishing to home school their children and has a website that includes a directory of non-public schools in the state.